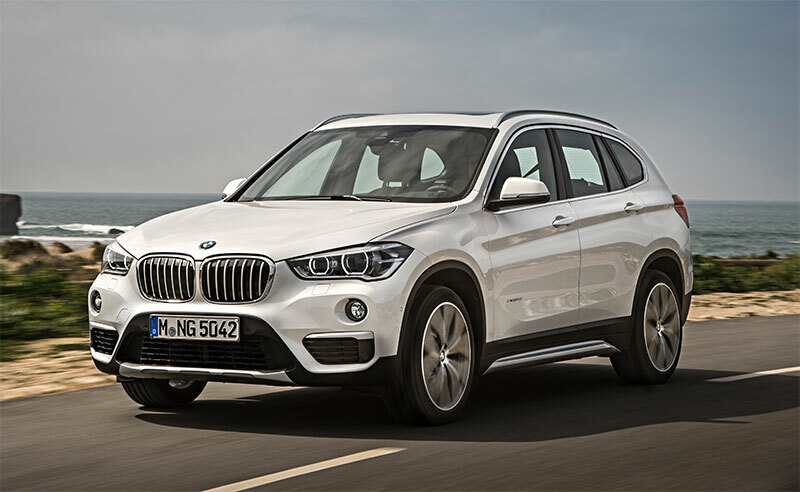 BMW announced the all-new BMW X1 Sports Activity Vehicle. In its second generation, the new MY 2016 BMW X1 builds on the success of its predecessor (61,974 sold in the US to date) by incorporating a roomier interior, greater efficiency and technology on the forefront of innovation. The second generation takes to the stage with a body design typical of a BMW Sports Activity Vehicle. The BMW X1 xDrive28i will be the exclusive model in the US at launch featuring a 2.0-liter TwinTurbo 4-cylinder engine from BMW’s new family of modular engines with maximum output of 228 horsepower, making the all new BMW X1 the most powerful entry model in the segment. It will be mounted to an 8-speed Steptronic automatic transmission. An efficiency-optimized version of the BMW xDrive intelligent all-wheel-drive system and newly developed chassis technology all help to enhance sporting ability and ride comfort compared to the outgoing model. The all new BMW X1 also showcases its exceptional versatility with increased cargo area and greater interior room with more headroom than before. 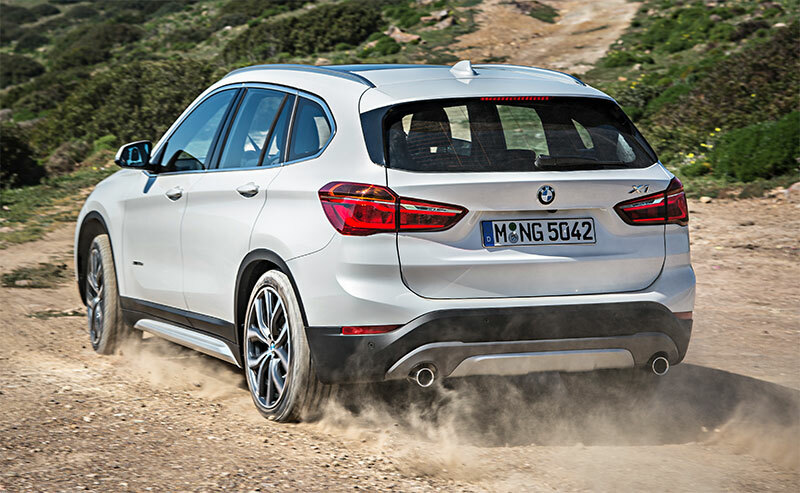 The 2016 BMW X1 xDrive28i will arrive in US showrooms in Fall 2015. Its cutting-edge premium ambience and functionality ensure the BMW X1 will stay ahead of the competition. Alongside its market-leading dynamics and efficiency, a host of innovative equipment features also help to secure the all new BMW X1 position in the class. Among the items on the options list are full-LED adaptive headlights, BMW Head-Up Display and Driver Assistance Plus. The driver focused cockpit and generously sized surfaces define the interior of the new BMW X1 as a classic Sports Activity Vehicle. The flat surfaces of the instrument panel and center console controls all angled towards the driver aim to help and maintain control over the surroundings at all times regardless of changing road conditions. The rear seatback can be split 40:20:40, with the three sections folding down individually or jointly. An optional sliding and reclining rear bench with individual elements that can slide forward or back by up to five inches allowing seating comfort and storage capacity to be adjusted even more precisely. The tilt angle for the rear-seat backrest can also be adjusted when fitted with the optional equipment seats and ranges from 31 degrees all the way to a near-vertical cargo position of 1 degree. A power-folding feature enables the rear seats to be folded at the touch of a button inside the luggage compartment. Cargo space has been increased by more than 15 percent (based on European measurements) allowing plenty of storage practicality. The standard automatic tailgate operation makes using the X1’s load-carrying capacity even easier, and Comfort Access, offered as part of the Premium Package also includes a hands-free tailgate opening and closing function. The passenger compartment of the all new BMW X1 has large door pockets and offers a selection of smaller storage areas. A storage compartment is integrated into the instrument panel on the driver’s side. Positioned in front of the gearshift selector lever in the center console beneath a sliding cover are two cupholders. The front armrest for the driver and front passenger includes an integrated storage compartment. The standard storage package includes features such as nets in the backrest of the driver and the front passenger seat and a central armrest with cupholders for the rear adding to the new X1’s storage offerings. Safe transportation of goods is assured with a strap and net in the trunk. Customers can choose between two non-metallic and nine metallic exterior paint finishes, allowing them to tailor their new BMW X1 to their individual tastes. Estoril Blue metallic is exclusively offered in combination with the M Sport package. Mirroring brand specific characteristics, the new BMW X1 offers a broad range of individualization. The M Sport package, available later this year, provides a sportier, quicker and slicker look and feel thanks to the 8-speed Sport Automatic transmission featuring steering wheel-mounted paddle shifters supported by M Steering Wheel and M Sport suspension and Sport Seats. The Premium Package highlights once more BMW core attributes achieving an even higher look and feel of quality. The optional panoramic moonroof, increased in size compared to the outgoing model, underlines the roominess of the vehicle’s interior whereas the full LED headlights, both available with the Premium Package, highlight a strong and powerful stance on the road. Standard equipment also includes front fog-lamps, alarm with remote-controlled central locking and keyless engine ignition, electric window controls, electrically adjustable and heated exterior mirrors, a multifunction leather steering wheel adjustable for height and reach, a rain sensor including automatic headlight control and Dynamic Cruise Control. The second generation BMW X1 uses an all-new powertrain and chassis technology to build systematically on the compact BMW X model’s versatile sporting ability in its segment. The newly developed chassis technology, which ensures not only precisely controllable handling, but also noticeably improved ride comfort is another key factor that further enhances agility on the all new BMW X1. Together with the car’s low center of gravity, a wide track, short overhangs, optimized weight and the impressive rigidity of the body and chassis, all contribute to lay the foundation for a driving experience familiar to BMW drivers but without parallel in the class. The all new BMW X1 will be available from launch with an all-new 2.0-liter BMW TwinPower Turbo engine featuring a twin-tailpipe design that draws further attention to the sporty character of the all new BMW X1. The BMW X1 xDrive28i features BMW’s new modular BMW EfficientDynamics engine, a 2.0-liter TwinPower Turbo 4-cylinder unit with a TwinScroll turbocharger, High Precision Injection, VALVETRONIC fully variable valve lift, and Double-VANOS variable camshaft timing. This powerful engine develops 228 hp at 5,000 rpm, representing the highest power output in the entry model class and thanks to BMW’s EfficientDynamics technology. The peak torque of 258 lb-ft, which is available between 1,250 rpm and 4,500 rpm ensures once again that the driving torque is effortlessly and instantly delivered for a dynamic and agile driving experience. Its instantaneous pulling power enables acceleration of 0 to 60 mph in 6.3 seconds. The new BMW X1 xDrive28i CO2 emissions stand at 152– 49 grams per kilometer (in the EU test cycle, depending on the tire format specified). US EPA mileage estimates will be available closer to launch. The compact, low-weight and efficient all-wheel-drive system distributes the engine’s power between the front and rear axle exactly as the situation requires – at all times. Working closely with DSC (Dynamic Stability Control) allows the system to act preemptively to counteract any tendency on the car’s towards oversteer or understeer. The BMW xDrive system therefore ensures excellent traction, optimized directional stability and enhanced cornering dynamics in all weather and road conditions. Furthermore, the combination of the DSC system and xDrive also includes Hill Descent Control. 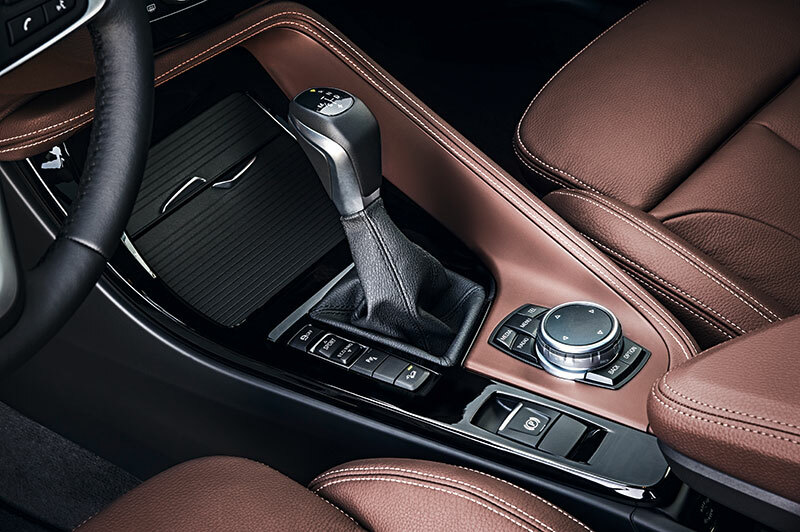 The xDrive system of the all new BMW X1 consists of a single-speed bevel gear and a rear-axle drive unit with an electrohydraulically controlled multi-plate clutch than controls longitudinal torque distribution. The two are connected by a two-piece drive shaft. When required, the multi-plate clutch – with the help of an electrohydraulic pump – diverts up to 100 percent of the engine’s power to the rear wheels. It does so in less than 250 ms and unnoticed by the driver. The DSC system keeps the pump’s control unit constantly supplied with important data for analyzing the driving situation. The data includes the vehicle’s speed, lateral and longitudinal acceleration, steering lock, wheel-speed, pitch, accelerator position and the Driving Dynamic Control and DSC settings. This information is used to determine – and instantly generate – the ideal power split between the front and rear wheels, seamlessly and flexibly. The chassis technology of the original X1 has been totally redeveloped for the new model with aluminum wheel hubs, as well as axle carriers and control arms made from high-strength steel, reduce weight and increase the rigidity of the front axle, which in turn helps to ensure an agile turn-in response and direction-changing precision. The rear axle also employs a high proportion of high-strength steels. Tube-shaped anti-roll bars at the front and rear axle, innovative axle mounting and specially tuned elastokinematics contribute to the agility and ride comfort of the all new BMW X1, as do the connection of the dampers to the body via sophisticated three-way support mounts. The all new BMW X1 is equipped with standard Servotronic speed-sensitive steering assistance. This system allows parking and turning maneuvers to be completed safely and comfortably with little steering effort, and at higher speeds drivers can also benefit from steering precision and straight line stability as the steering effort is increased just the right amount. The Driving Dynamic Control switch on the center console allows the driver to give the car’s set-up an even sportier, more comfort-oriented or efficiency-optimized character. Calling up COMFORT, SPORT or ECO PRO mode at the touch of a button adapts the responses of the accelerator pedal and steering as well as shift characteristics of the automatic transmission are also adjusted if the relevant equipment has been specified. The Dynamic Stability Control stability system includes features such as the Anti-lock Braking System (ABS), Dynamic Traction Control (DTC), Cornering Brake Control (CBC), Dynamic Brake Control (DBC), Brake Assist system, Brake Fade Compensation, Brake Drying Braking and Start-Off Assistant and Performance Control. When DSC is deactivated, an electronic locking function for the front axle differential – known as Electronic Differential Lock Control (EDLC) – comes into play. In tight corners the system brakes a spinning wheel as required and ensures power is diverted to the other wheel. The enhanced functional effectiveness of all powertrain components, intelligent energy management, the rigorous application of BMW Lightweight technology and far-reaching measures designed to optimize aerodynamics all play a role in enhancing the efficiency of the all new, second generation BMW X1. The innovations developed under the BMW EfficientDynamics umbrella delivers greater driving pleasure. The all new BMW X1 also has smooth underbody paneling, air deflectors on the front wheel arches and vertical aeroblades, which form a unit with the roof spoiler to channel the airflow around the rear of the car to best effect. The Air Curtains integrated into the outer air intakes channel the onrushing air precisely behind the front fenders causing it to hang over the wheels like a curtain and thus reduce turbulence. The engine in the BMW X1 xDrive28i benefits from the latest incarnation of BMW TwinPower Turbo technology with TwinScroll turbocharger and the most recently updated generation of VALVETRONIC. This latest 2.0-liter four-cylinder engine incorporates aluminum crankcase and cylinder head, forged steel crankshafts with an integrated balance shaft drive, low-weight pistons, forged connecting rods, friction-reduced cylinder coatings and map-controlled oil pumps. With the reduced weight and enhanced internal efficiency, the new 8-speed Steptronic transmission also helps to optimize efficiency. The reduced converter slip of the new automatic transmission cuts energy losses, and its wider gear spread keeps revs lower at higher vehicle speeds contributing to the reduced emissions. The BMW xDrive intelligent all-wheel-drive system developed for the new BMW X1 is considerably lighter with powertrain losses that are reduced by 30 percent in normal driving situations .The improved functional effectiveness of the new rear differential also helps to deliver a particularly efficient all-wheel-drive experience. 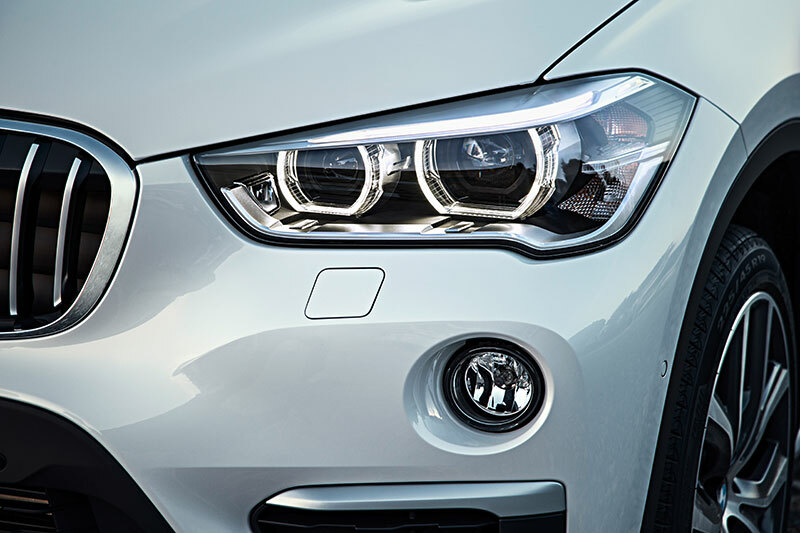 The BMW EfficientDynamics technology employed in the new BMW X1 includes intelligent energy management. Brake Energy Regeneration enables extremely efficient power generation for the on-board power supply. The Electric Power Steering and on-demand fuel and coolant pumps work with maximum efficiency. ECO PRO mode – activated via the Driving Dynamics Control switch – also allows drivers of new BMW X1 to make use of the coasting function. At speeds between 30-100 mph, the powertrain is disengaged when the driver takes his or her foot off the accelerator. Further efficiency gains have been achieved with items including reduced-friction wheel bearings. The enhanced functional effectiveness of all powertrain components, intelligent energy management, BMW Lightweight technology and measures designed to optimize aerodynamics all play a role in ensuring that the new BMW X1 it is significantly more efficient. The innovations developed under the BMW EfficientDynamics banner form an overall package that delivers greater and more efficient driving pleasure. An intelligent mix of materials for the body structure and chassis components of the new BMW X1 allows increased agility, lower vibrations and enhanced safety to be combined with optimized vehicle weight. The targeted use of hot-stamped, high and ultra-high tensile steels reduces the weight of the X1 yet also significantly improves torsional rigidity and strength. Contributing to the Lightweight construction of the BMW X1, components like the hood, the bumper supports and wheel hubs – among other areas of the car – are made of aluminum. The weight of the chassis has been reduced by the deployment of components such as tube-shaped anti-roll bars, output shafts and damper piston rods, not to mention the increased use of aluminum. The integrated BMW EfficientLightweight concept also contains solutions for construction details, such as the production of steel with optimized material strength – in the form of tailored rolled blanks – for the front bulkhead and B-pillar support beams. The second generation BMW X1 also brings significant advances in the field of intelligent connectivity over its predecessor. The new selection of options designed to optimize comfort; safety and the use of infotainment functions, such as the Head-Up Display, take their cues from those available from other BMW Sports Activity Vehicles. BMW ConnectedDrive features on the new BMW X1 now include the newest BMW Head-Up Display which projects driving-related activities directly onto the windshield. The optional high-resolution 8.8-inch Control Display with touchpad controller will host BMW Online, BMW Apps, Remote Services and provide Advanced Real-Time Traffic Information. As an option, a high-resolution 6.5” screen navigation with BMW Online, BMW Apps, Remote Services, Advanced Real Time Traffic Information is also available. 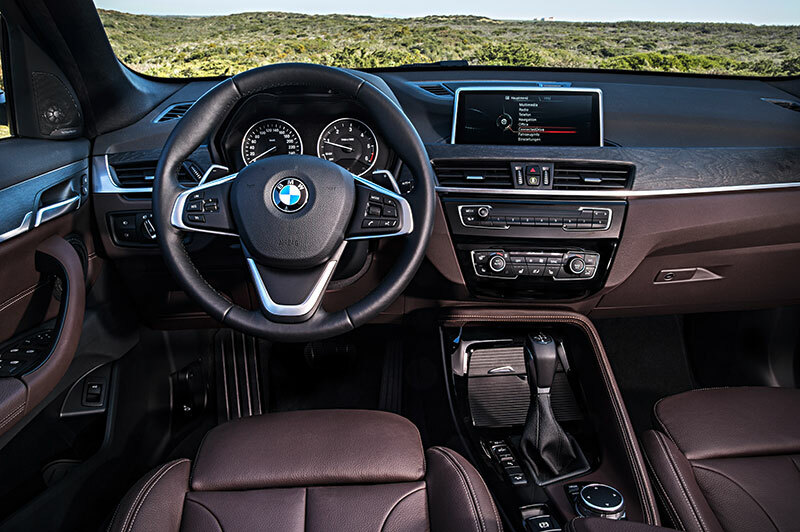 By adding to the functionality of the infotainment system the new BMW X1 allows for increased safety by simultaneously providing greater comfort, all based on user selection. The Navigation option assists route guidance on the standard Control Display with direction arrows and sophisticated map graphics, including views from various angles. With the standard multifunction steering wheel, the destination can also be entered by voice command. Another, in many respects pioneering option is the Navigation system, which comprises a bigger 8.8-inch Control Display, an instrument cluster with extended features, including a split-screen function as well as the BMW Head-Up Display. This system allows High Guidance instructions including lane recommendations to be shown in the instrument cluster’s TFT display or projected onto the windshield, as desired. The BMW Head-Up Display projects this and other information directly into the driver’s field of view, allowing him or her to register the information without having to divert their gaze from the road ahead. The graphics are displayed using the full spectrum of colors. The 8.8-inch Control Display in conjunction with the standard multifunction steering wheel destination also allow for info input by voice command. The camera-based assistance systems available for the new BMW X1 ensure greater assurance and safety in different driving situations. The Driver Assistance Plus package encompasses Lane Departure Warning, Speed Limit Info, Automatic High Beams, as well as Frontal Collision Warning with Pedestrian Warning and City Collision Mitigation. In addition to these functions, the Driver Assistance Plus package also features the Active Cruise Control system with Stop & Go function. Park Distance Control and the Rear-View Camera are part of the Driver Assistance Package that transfers images onto the Control Display, making precise and comfortable parking maneuvers that much easier. Parking Assistant is included with the Driver Assistance Package and also helps the driver to find and make use of parallel parking spaces. The ConnectedDrive Services option enables the use of the BMW Online internet portal via the SIM card embedded in the vehicle, as well as the integration of smartphone apps into the car. Standard features also include BMW Assist eCall and BMW Teleservices. The steadily growing selection of smartphone apps comprises web radio functions as well as the use of social network services such as Twitter or services like Spotify, Life 360, iHeartRadio among many more. The ConnectedDrive Store offers even more flexibility. A one-time registration allows customers to adapt the range of services available to their individual needs – there and then or at a later stage. The ConnectedDrive Store is not only available on the internet but also directly in the car. The functions purchased are made available for use just minutes later.